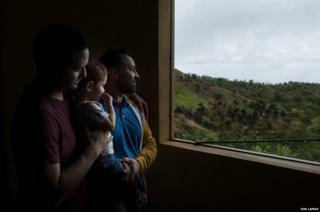 Thousands of rural families in Puerto Rico's rugged central mountains want to rebuild their traditional coffee economy after the devastation of Hurricane Maria. And one year on, they're betting on a dedicated group of millennials to get the job done, writes Tom Laffay. If they don't succeed, it could mark the end of coffee in Puerto Rico, forcing these last families to leave the island for good. Puerto Rican coffee farmers lost an estimated 85% of their crops, or some 18 million coffee trees valued at $60m (£46m), and many have lost their homes in the wake of hurricanes Irma and María. Not only an iconic part of Puerto Rican identity, coffee has been an economic engine that creates direct and indirect jobs in a US territory where so many young people leave because of a lack of jobs. 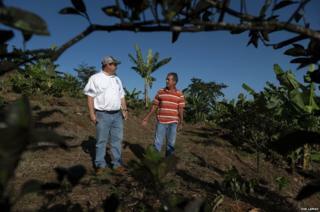 "I lost practically the whole farm due to María," says Luis "Nardo" Ramirez. But as soon as it cleared, we went back to work, and I found the workers to do it. The people were without their homes, without their roads, so there was a necessity to work." 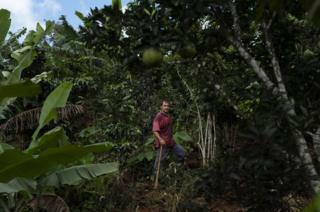 "Coffee is the best crop we produce, but due to the bad weather people have left it. In Las Indieras there used to be 80 big producers, now there are only five big farms left." On average, 80% of coffee trees were destroyed by Hurricane María. "This is all that María left," says this worker as he loads coffee plants from a nursery subsidised by the government into a truck headed for a local farm. 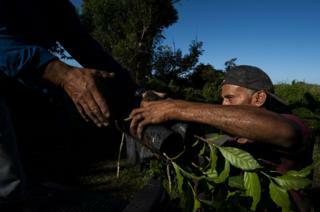 "There are 21 municipalities in Puerto Rico whose economies are driven by the coffee industry. And if we permit the industry to disappear, this region is going to be even poorer than it already is," says Wilfredo "Junny" Ruiz Feliciano. 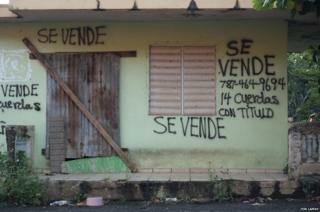 "It's not all San Juan, it's not all Guaynabo. María affected the people of the central region the most. We need a more aggressive plan to revitalize the industry and the region." Along with Junny's father, they are four generations of coffee farmers, including the youngest whom they hope will carry on their business one day. After Hurricane María their staff was reduced from 20 employees to only four and they went from cultivating 32 hectares to only eight. They call for an aggressive plan sponsored by the government to help farmers get back up and running and believe in the region's people to bring the coffee industry back. ConPRometidos is an NGO run by millennials with a mission to create a stable, productive, and self-sufficient Puerto Rico, harnessing the energy, ideas and finances of the island's young diaspora. It began its work about six years ago in tapping into the know-how of young exiles in order to help address some of the problems they had left behind. The hurricanes presented a new challenge but the plight of the coffee farmers caught the group's eye. They are soliciting a $3m grant from the Unidos por Puerto Rico Foundation to fund a five-year, island-wide project that aims to provide much needed relief to the island's coffee sector. The island can produce 240,000 quintales (100lb) of coffee but is only hitting 40,000, says the organisation's 30-year-old co-founder Isabel Rullán, which means it's importing coffee unnecessarily. Increasing production could bring about $65m dollars to the poor mountain regions, she says. 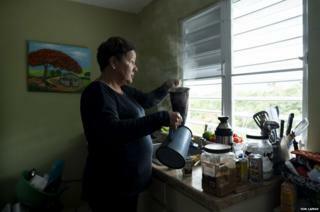 "The coffee industry is the backbone of 22 municipalities of the island. That's what they do, they farm coffee. So really, we're talking about improving the quality of life for 2,000 families." After thousands of people were driven off the island by the hurricane, there is a movement to stem the flow of labour and encourage people to stay. "I'm part of this rebirth of coffee here because I grew up in the coffee culture," says Krys Rodriguez, a retired Army sergeant major who runs a farm near the Maricao coffee fields where she grew up, called Hacienda Doña Patria. "I was born on a coffee farm and I always wanted to have my own farm because I'm passionate about it. I always wanted my own brand of coffee." She is part of a group trying to educate local people in how to make a success of farming. "I'm convinced that the coffee industry here has a future. But it has to return to the small family [farms], where you, your wife and your kids can harvest and maybe even your neighbour." 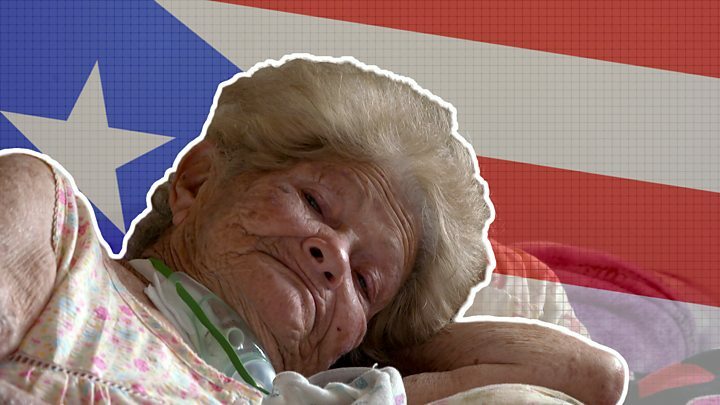 Do we know how many died in Puerto Rico?